From Speck products, The Presidio Show Series Case for Apple iPhone XS Max smartphones. Clear transparent backing with a glossy black border trim. - To ensure that Presidio SHOW offers the ultimate protection for your iPhone, it has been dropped from a height of 10 feet multiple times by third-party laboratories. - IMPACTIUM is an innovative dynamic shock-absorbing material that lines Presidio cases. - Raised bezel guards screen from direct drops onto phone face and prevents damage when lying flat. - We’ve optimized the design to create the slimmest case Speck has ever made, with a dual-layer perimeter for added protection. 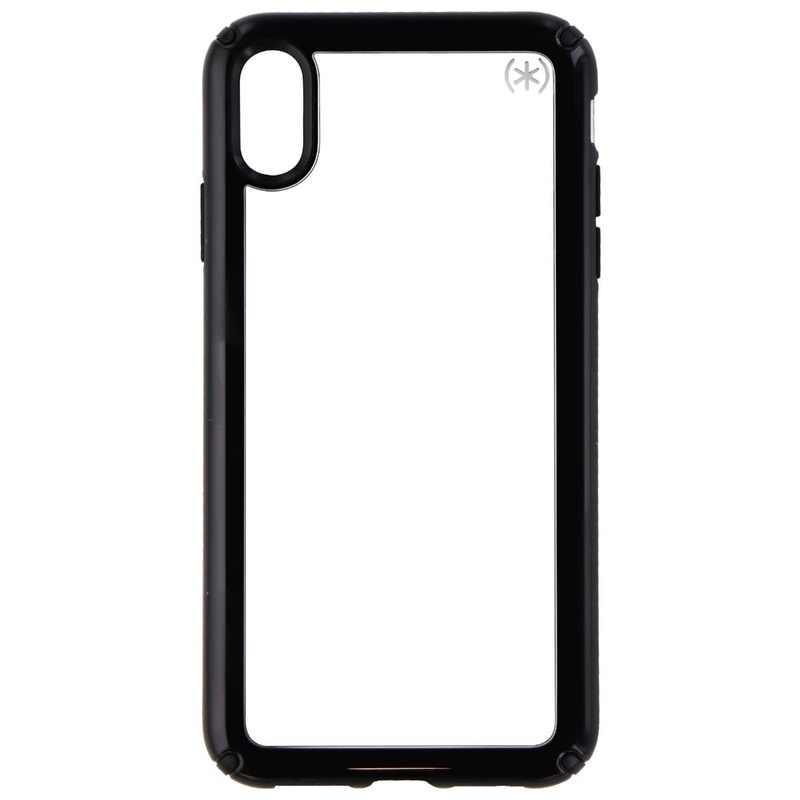 - Special clear coating on the exterior of the case resists scratches.